With the prestigious rowing regatta in England beginning today, I thought I'd give a flashback to when I had the opportunity to go 3 years ago. I managed to get my ticket (for free) thanks to the rowing coach I had rowed with several times during my 3-weeks studying in London. When I left London to head the regatta I wasn't completely sure where I was going... but don't worry! Once I boarded the overground train all I had to do was follow the massive crowd wearing fancy regatta blazers! 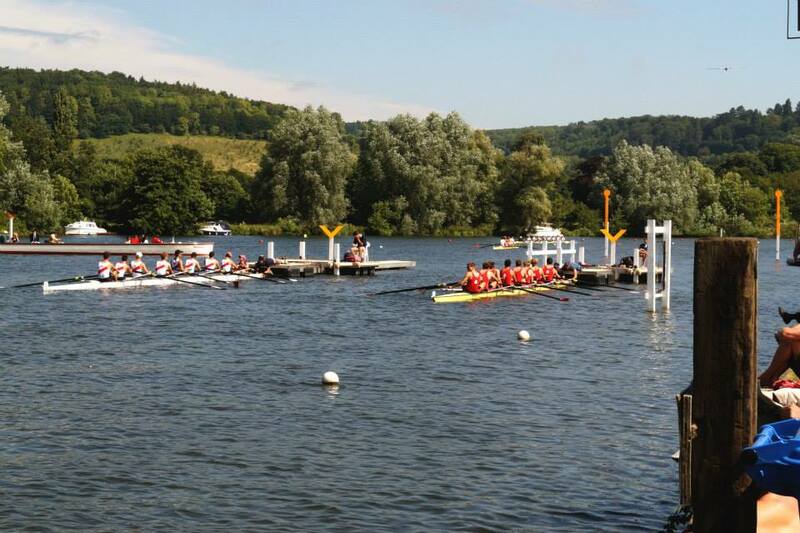 Once I got to the town of Henley I once again only needed to follow the crowd to find the regatta enclosure. I picked up the ticket waiting for me at the box office(?) 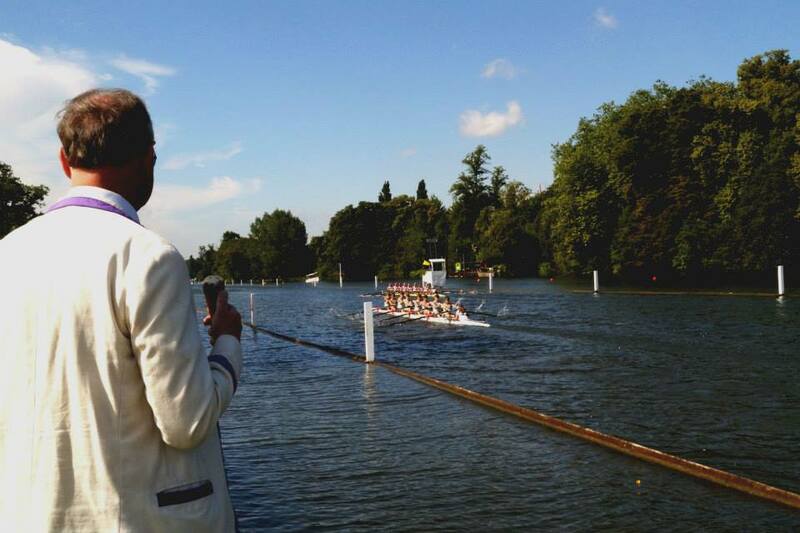 and made my way to check out what this brilliant and historic regatta is all about. What is this regatta all about, you ask? As I walked along the banks of the Thames, I witnessed tons of spectators dressed nicely sitting on the banks with picnic baskets. There were others setting up chairs and more fancy picnics including champagne. There were boats on the sidelines of the river holding spectators hoping to get a much closer view of the exciting races. 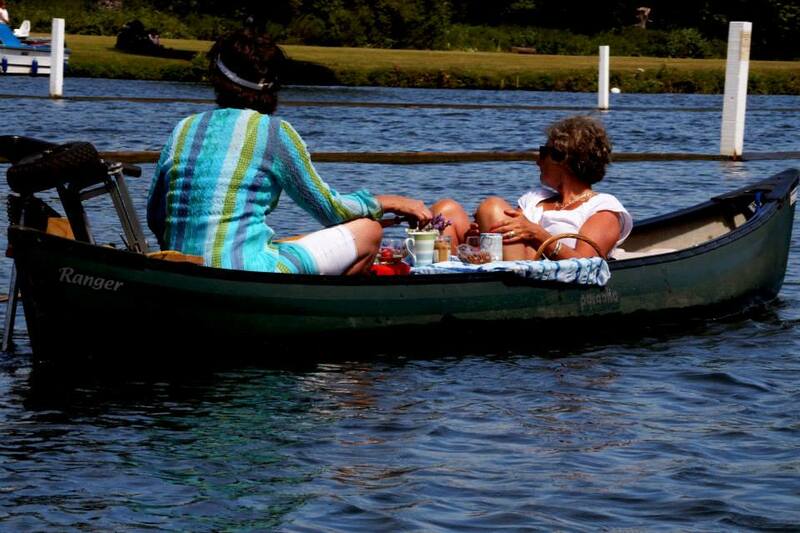 I even saw two ladies enjoying their tea while floating in a canoe watching races. 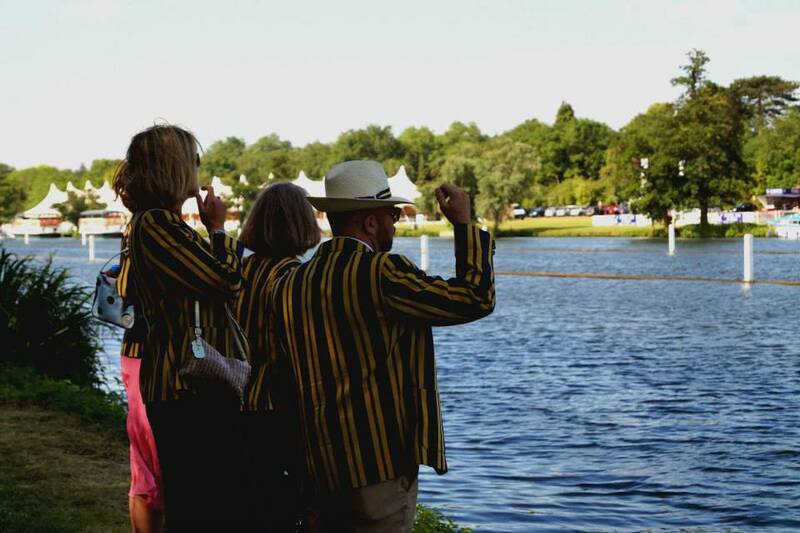 Check out my favorite Henley Regatta photos below!